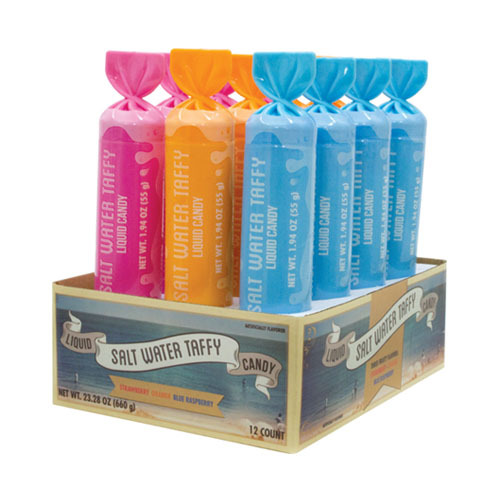 Our new take on classic salt water taffy! 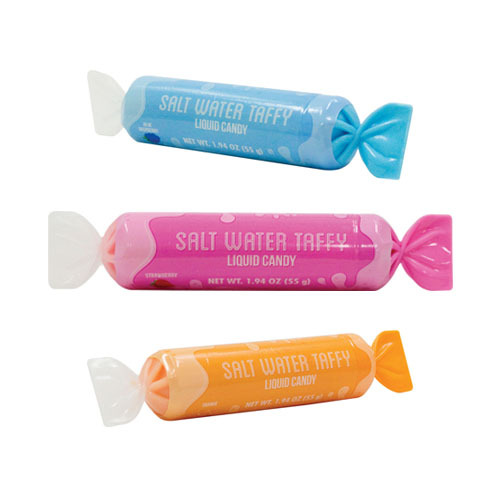 This liquid candy is a squeezable version of your favorite old time shore treat. Contained inside a patented twisted taffy shaped container, you can enjoy it now and cap it for later. Comes in 3 creamy flavors: Strawberry, Blue Raspberry, and Orange. INGREDIENTS: GLUCOSE SYRUP, SUGAR, WATER, PALM OIL, SORBITOL, CANDY FONDANT, CITRIC ACID, GELATIN, SOY LECITHIN , XANTHAN GUM, ARTIFICIAL FLAVORS, POTASSIUM SORBATE, ARTIFICIAL COLORS: (RED 40, YELLOW 5, BLUE 1).